Tess Boissonneault wrote the following article last week for 3D Printing Media Network (www.3dprintingmedia.network) about global manufacturing giant Jabil’s efforts to develop engineering grade materials for additive manufacturing. 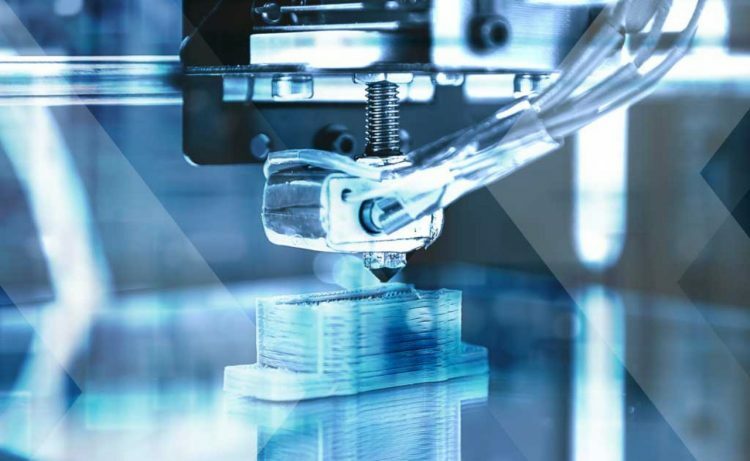 The current driving force behind the implementation of AM technologies in industrial settings is the development of materials; plastics, composites and metals that allow for the next stage of functional applications for 3D printing. Last week, global manufacturing company Jabil announced the launch of Jabil Engineered Materials as well as the opening of its new Materials Innovation Center, which will address the development of new industrial materials for additive manufacturing. The announcement shows how Jabil, a $22 billion company with nearly 200,000 employees, is committed to not only the adoption, but also the advancement, of industrial-scale 3D printing. The company launched its AM division, Jabil Additive, four years ago with the goal of developing solutions for additive manufacturing and to find specific ways to industrialize and leverage the technology to help clients with product development and production. The recent step ahead with AM materials is a turning point in realizing this goal, as Jabil now offers an end-to-end Materials, Processes and Machines (MPM) solution. To learn more about the launch of Jabil Engineered Materials and the Materials Innovation Center, we recently caught up with two key executives who are driving materials development and AM within the company: John Dulchinos, Vice President, Digital Manufacturing, and Matt Torosian, Director of Product Management, Jabil Additive. Since it launched four years ago, the team at Jabil Additive (which now consists of about 80 people) has been working to systematically address existing constraints associated with 3D printing. One of the biggest limitations, Dulchinos explains, was materials. “If you think about it, over the last 100 years, materials have been at the forefront of much of the innovation in manufacturing,” he elaborates. “In many cases, new manufacturing processes and new products have been driven by advances in materials science. It’s been an important part of manufacturing. The multi-million-dollar facility houses an end-to-end solution for developing, certifying and producing engineered materials for 3D printing. Presently, the facility is operated by a team of about 40 and has received ISO 9001 certification. “When you look at what it takes to deliver a solution for additive manufacturing, it takes the integration of materials, processes and machines,” Dulchinos continues. “We’ve really been working on this problem for the last four years, and materials is the final piece of the puzzle. You can’t deliver materials adequately without a deep understanding of machines and processes. Matt Torosian, an expert in engineered materials, joined Jabil 18 months ago to help develop new engineered materials for AM and bring them to market. His main mission with the company is to work with customers to develop custom engineered materials for a range of applications. Though customer names have not been disclosed, Jabil is already working with a number of partners to develop new material for specific applications in a number of industries. Torosian adds that there are about 300 OEMs that Jabil makes products for in the mobility, automotive, aerospace and medical markets, to name but a few. The first additive manufacturing materials Jabil has launched are PETg, PETg ESD, TPU 90 A and TPU 90 A ESD—which Torosian refers to as portfolio fillers. The long term goal, of course, is to offer customized materials, and the company expects to launch many more materials over the course of the year. In terms of properties customers are looking for in engineered materials, Jabil Additive has identified a number of trends. “If you look at the applications side, Matt already mentioned conductive materials, but we also have a number of aerospace and automotive customers looking for flame retardant materials,” Dulchinos says. “Electronics and automotive customers have also been asking for UV stability so that parts can be used in the sun. We have customers looking for lubrication and a number of applications that need reinforcement—whether its glass fiber, carbon fiber or glass-filled.